The 1960’s. A decade that was defined by war and alternative lifestyles. I’m not talking about Vietnam and hippies. I’m talking about the no-holds-barred battle between the auto manufacturers and their desire to push the limits of possibility and the car owners who waited years to get the muscle car of their dreams. A struggle that would come crashing down hard just a few years later as the recession and gas crisis took hold. But that’s for another day. A muscle car means different things to different people. 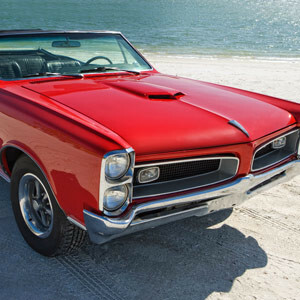 To some, the muscle car means an era. To others, it means a brand or model. You’ll often hear people say “the 1969 Camaro, that was a real muscle car.” Still, others are more specific, using terms like Hemi or Big Block, to define a muscle car. It’s not surprising that such a simple term can have different definitions, so let’s look at each one. 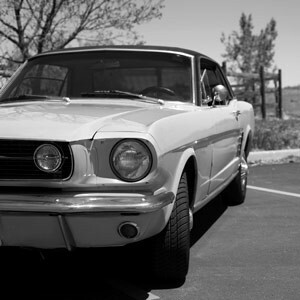 No doubt, the 1960’s was the era of the muscle cars. It was first defined when Carol Shelby “added Muscle” to a small British sports car called the AC, by shoe horning in a 427CI Ford motor. 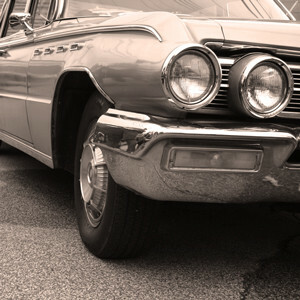 As the decade moved on, manufacturers decided to push the boundaries on performance by putting bigger motors into family style sedans and coupes. These cars were “sleepers” as in many cases only a fender badge would give away what was lurking under the hood. The grocery getter you were thinking about racing to the end of the block would have been just as comfortable at the local drag strip. 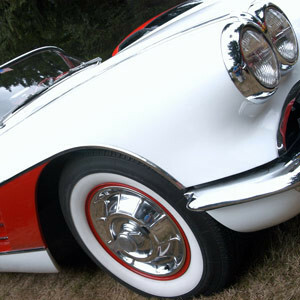 Towards the end of the 1960’s, and into the 70’s, manufacturers were then building cars around powerful motors. With names like Barracuda, Charger, and Road Runner, Chrysler led the way with performance and marketing. No particular mass market brand or model could be considered a muscle car. All of them could be bought with very basic performance packages. The same 1969 Camaro that could be ordered with an aluminum block 427, radio delete and rubber floor mats for the race track, could also be ordered with an inline six cylinder and air conditioning. The difference was about $5000 and about 15mpg. All the manufacturers had similar options for those who wanted the look, without having to pay for performance. The thought that the muscle car could be defined by a motor is probably as close to accurate as a definition as you would get. 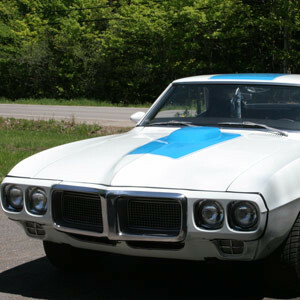 Odds are, if you told people you had a 1968 Pontiac Firebird, it was not a muscle car. If you told people that you had a Ram Air 400HO 1968 Pontiac Firebird, that left little to the imagination about the fire breathing motor that was under the hood. That’s why you hear true muscle cars referred to in terms like Hemi Cuda, Big Block, Vette, and Super Duty Trans Am. In the end, no matter how you slice it, it was the motor that created the muscle and that is the way to define it. One more of life’s automotive questions solved.